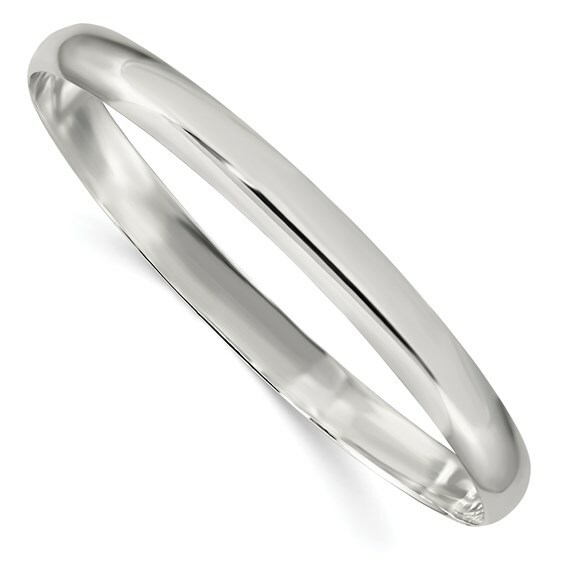 Slip-on bangle bracelet is made of polished, solid sterling silver. Length: 7 inches. Width: 6.25mm. Weight: 15.3 grams. Import.